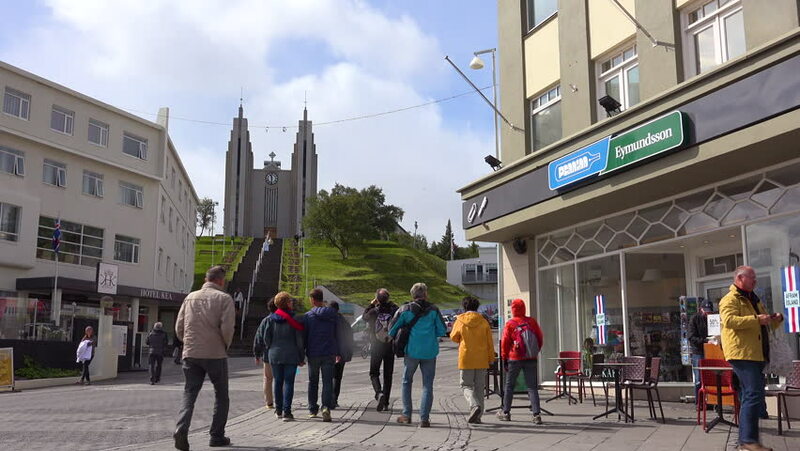 ICELAND - CIRCA 2018 - Establishing shot of the quaint streets of Akureyri, Iceland with Hallgrimskirkja church background. 4k00:12DRESDEN, GERMANY - 20 JULY 2016: The old town street in Dresden and strolling tourists. 4k00:07People drive a retro classic vintage car in the streets of Bergen, Norway, July 14th, 2015. 4k00:20May, 2017 Berlin, Germany. Tracking shot on sidewalk by Kurf\x9Frstendamm U-bahn station during a cloudy day.